Material: Lining: 100% cotton. 100% modal. Beautiful maxi dress from HAPPY HOLLY. 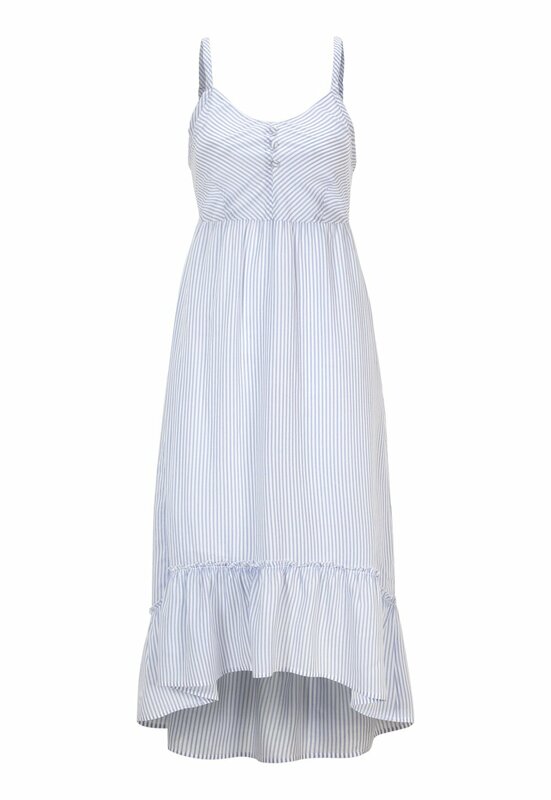 The dress is made from soft, comfy fabric, with fancy frill details at the hemline. - Longer at front Center back length 100 cm, bust 104 cm in size 36/38.